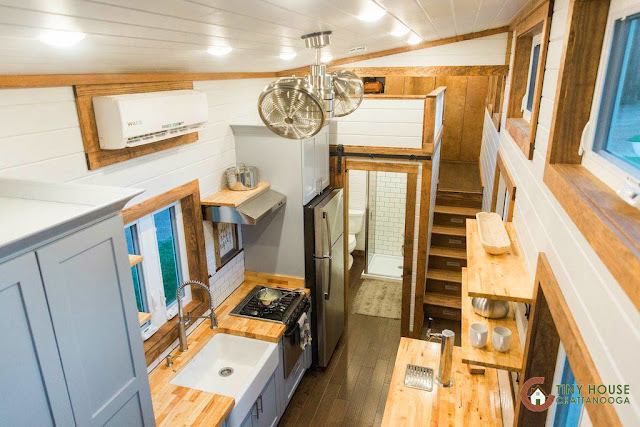 Tiny House Chattanooga has built a third (and my favorite so far) rendition of their Lookout model! 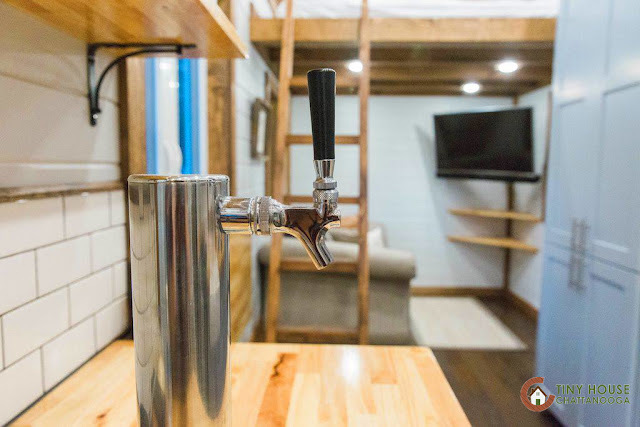 The company's original Lookout won "Best in Show" at the 2016 Tiny House Jamboree and it's not hard to see why. 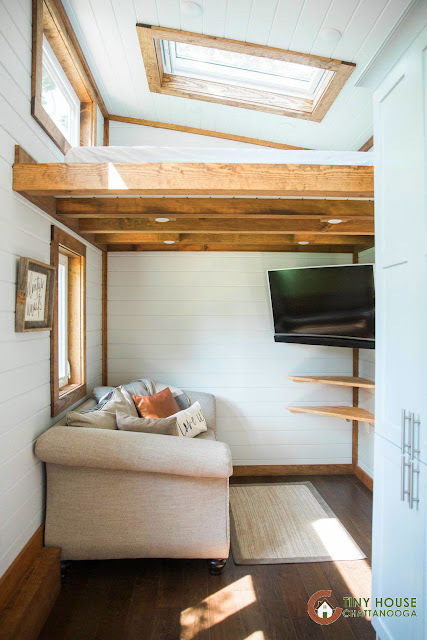 Despite a limited amount of space, the home's design capitalizes on every available square inch to make the most out of its size. 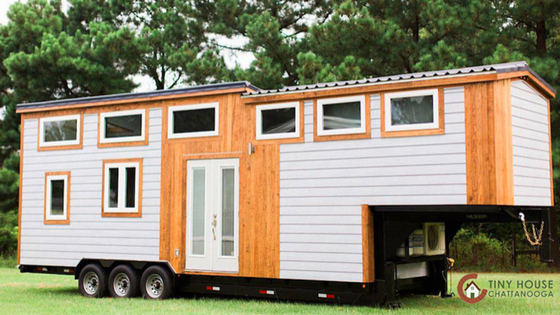 Built onto a triple-axel gooseneck trailer, the home is also perfectly mobile! 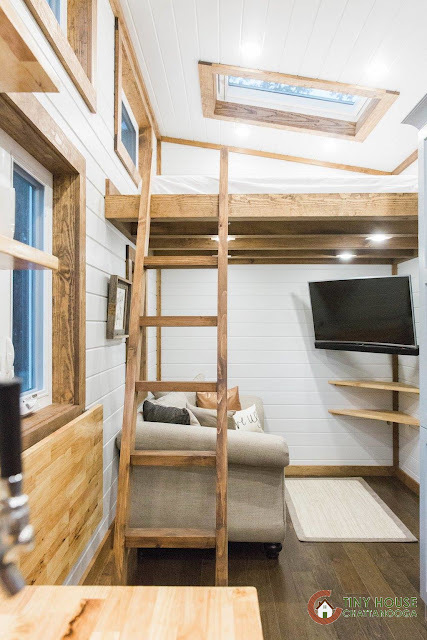 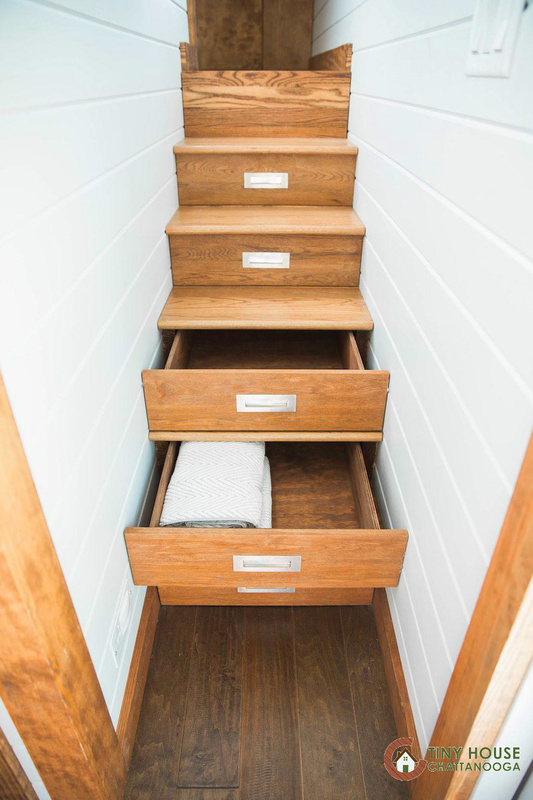 The Lookout's interior features two bedrooms; a master bedroom (accessible by stairs) built in the home's "neck", and a second, smaller loft bedroom on the opposite end of the home. 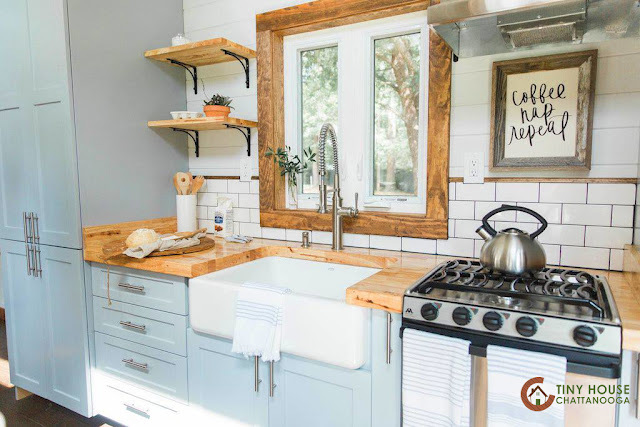 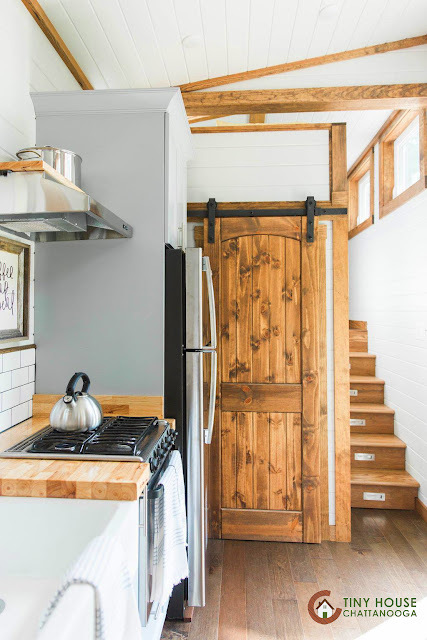 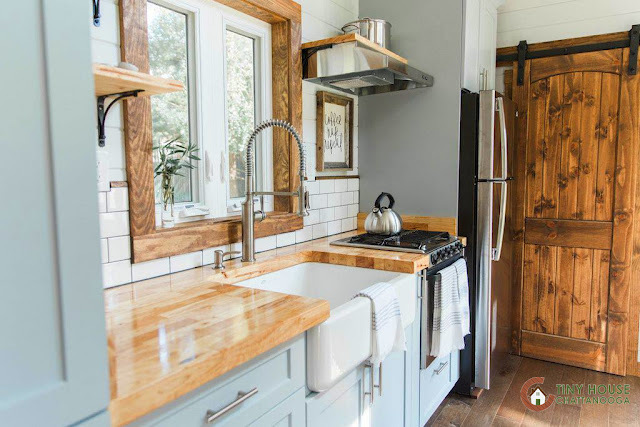 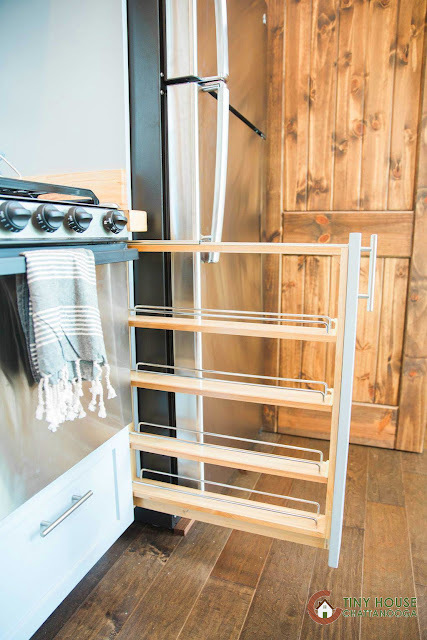 The home's kitchen features a stainless steel fridge, a three-burner stove, a farmhouse sink, butcher block counters, plenty of storage, and even a beer tap! 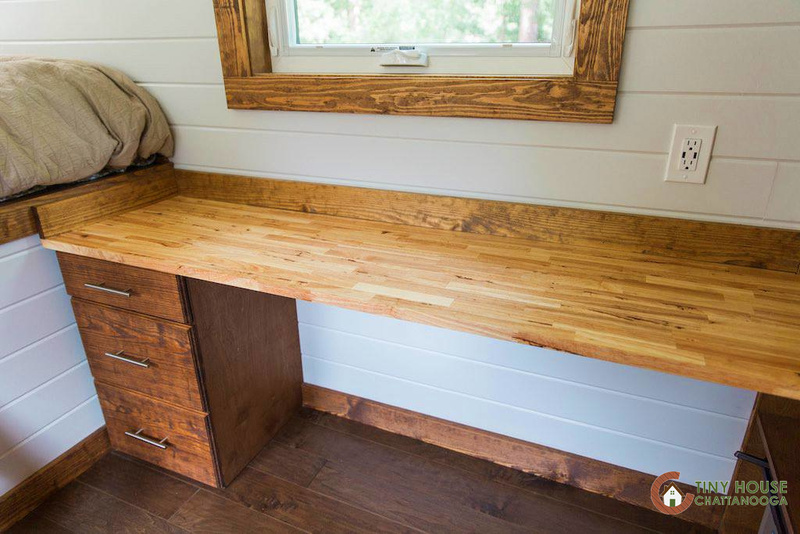 Right next to the kitchen is a foldable table/desk that's perfect for dining and/or use as a work space! 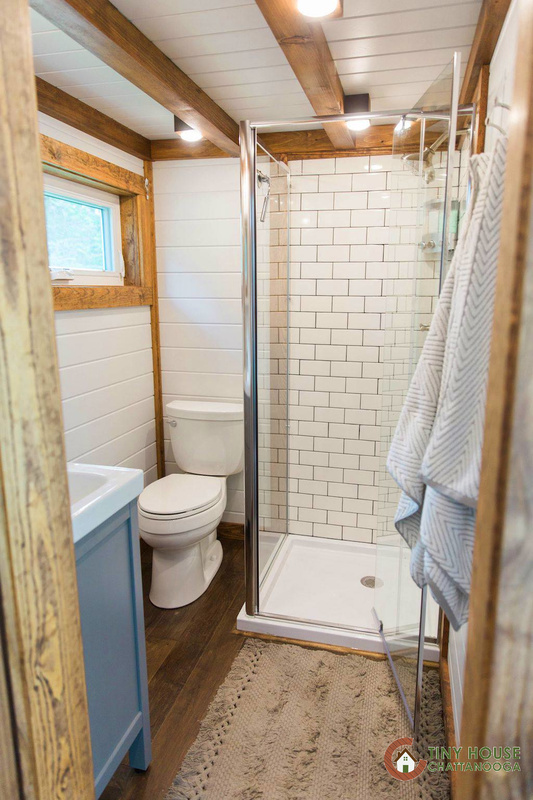 Also included in the home is a cozy living room, a bright and modern bathroom, and a mini-split system. The space is also well illuminated with numerous windows, including a skylight over the home's bedroom! 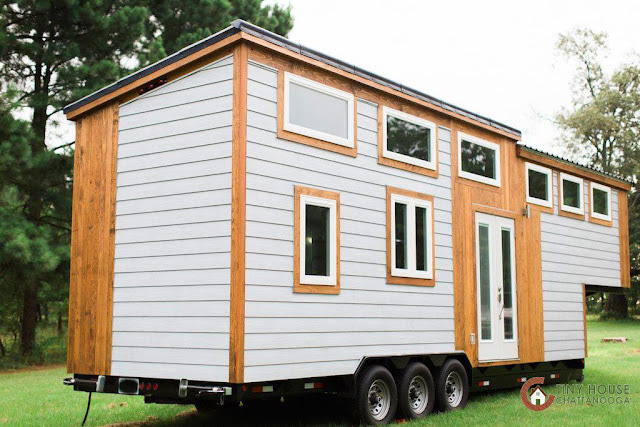 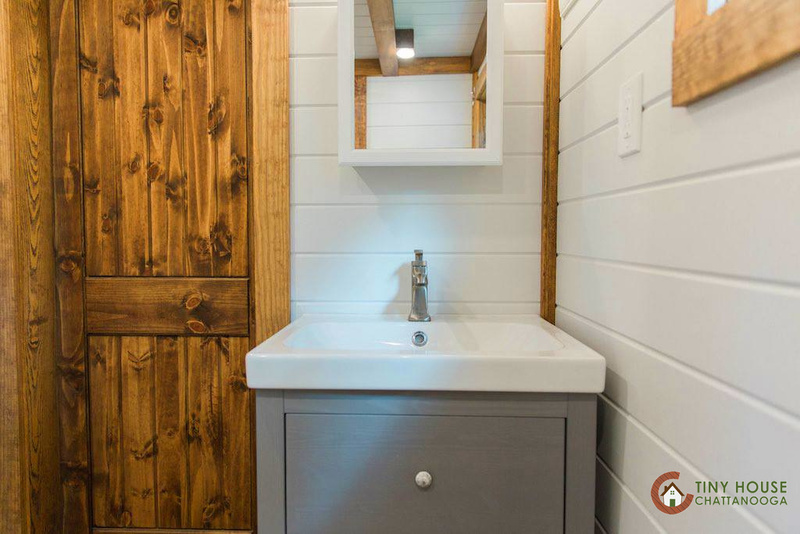 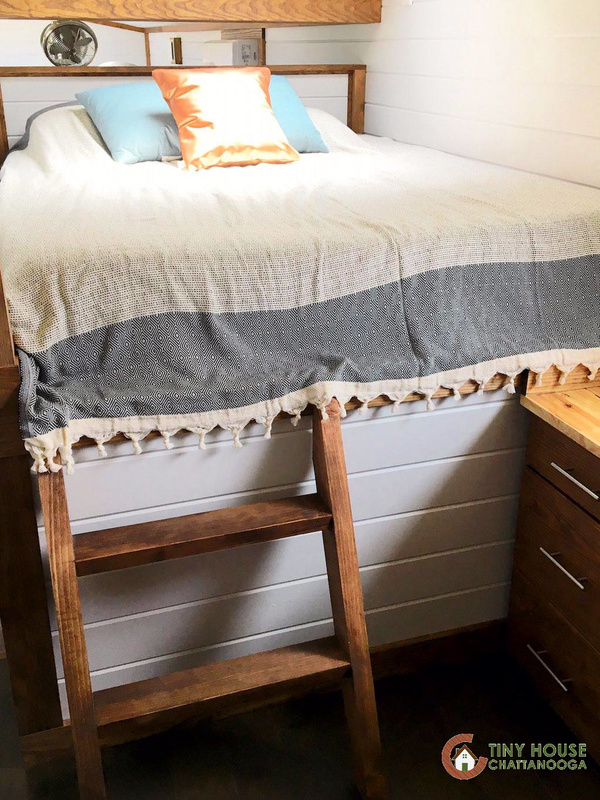 For more information and/or inquiries about the Lookout, contact Tiny House Chattanooga here! 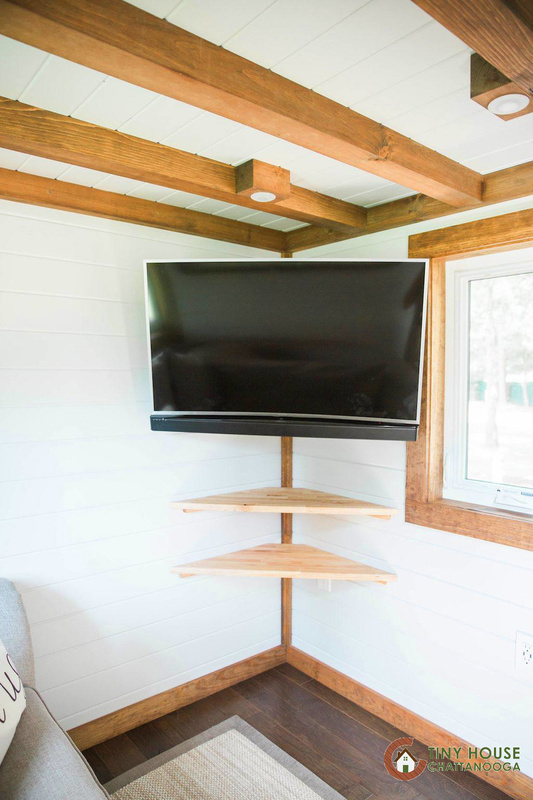 You can also buy a structural kit here to built the Lookout yourself. 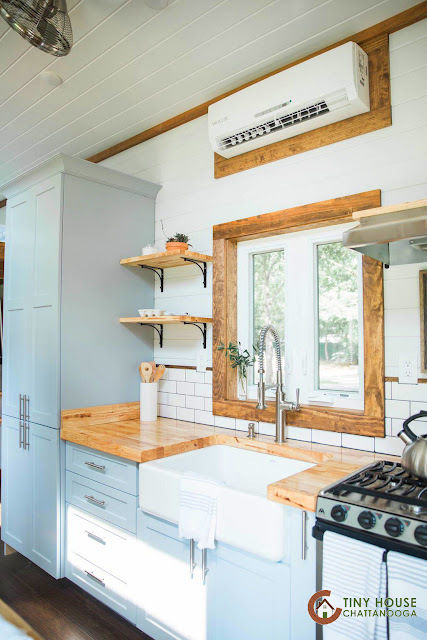 You can also look at version one and version two!